Ever felt scattered, yet stuck in a rut? It’s not a fun place. Everyone needs a little variety to shake things up every once in a while. My variety came on Christmas. My husband surprised me with a Cricut Air, and if you don’t know what one is and you are a crafty person, look it up and it will blow your mind. In short, it’s a super duper paper cutting machine that not only cuts paper into cool shapes, but can also cut fabric, chipboard, stiff felt, and vinyl for projects. I’ve loved being able to make nice cards and envelopes at home. 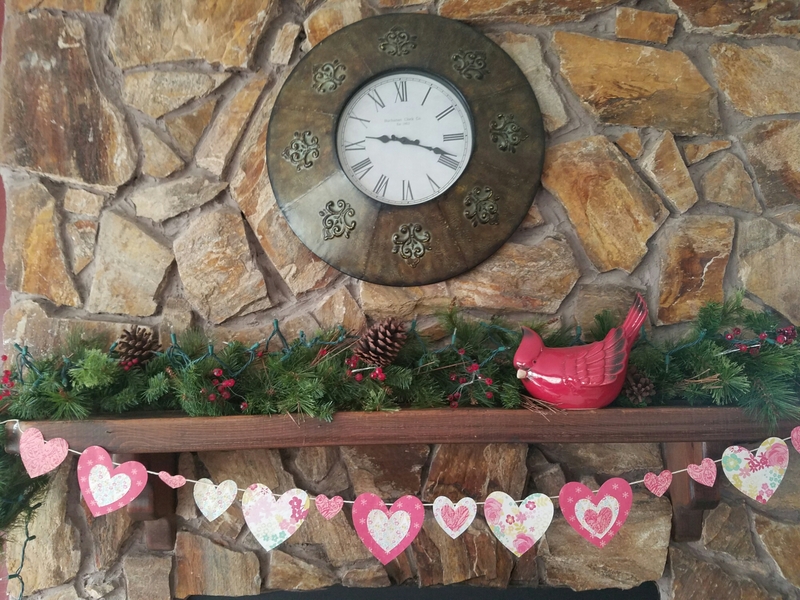 I recently cut out a ton of hearts and glued them to some string for a banner to go over our fireplace. My husband has had some good changes with his job, and he cleared off our desk for my stuff. My sewing machine is out, and it has been getting a workout. I got it around 10 years ago from my parents as a birthday gift, and I am thankful for the many tutorials on Youtube. 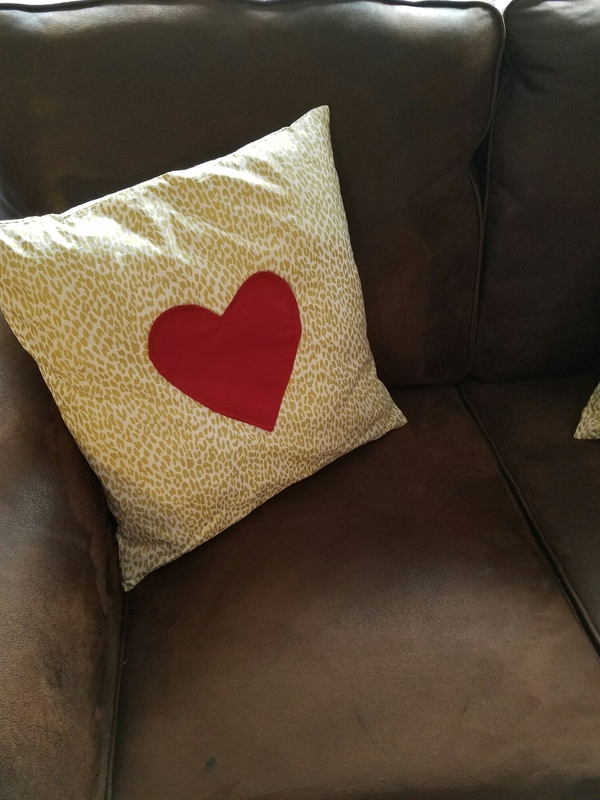 I love my Valentine’s Day pillow covers so much. There’s still activity going on in the garden. 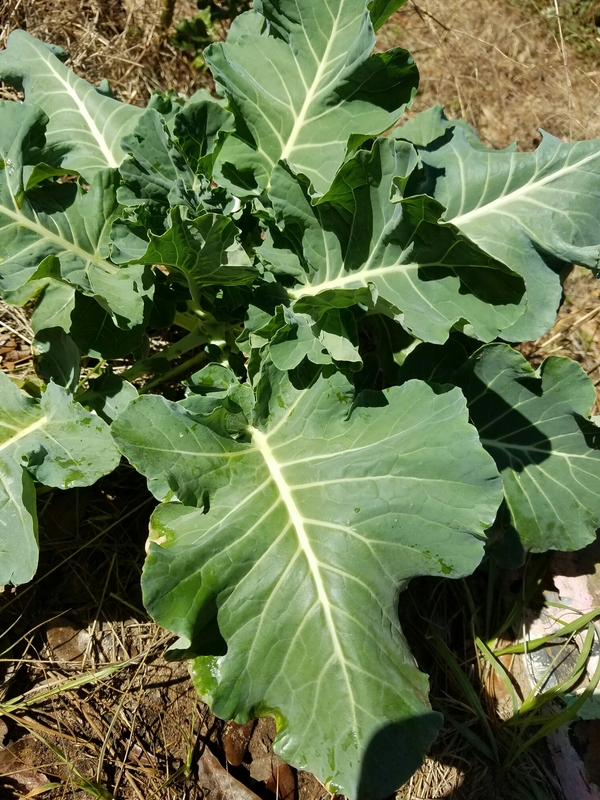 Here’s a collard plant that volunteered for me. 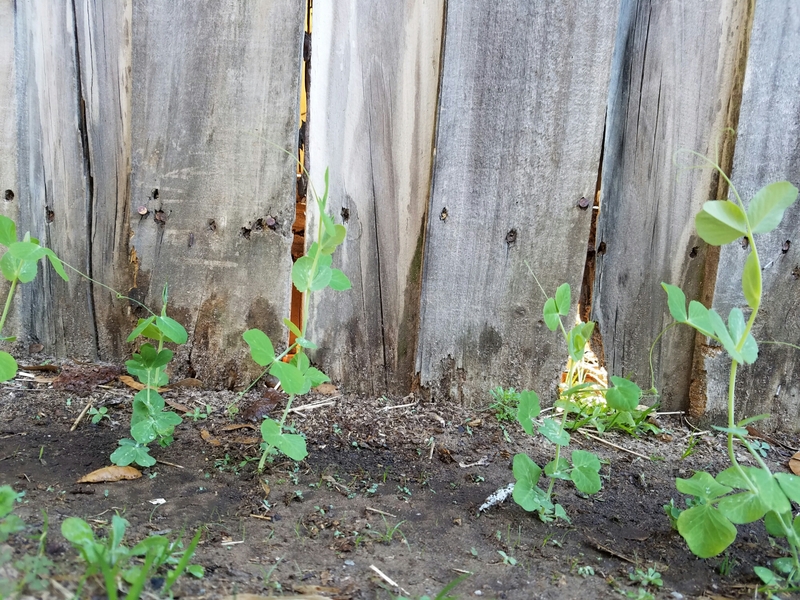 The sugar snaps are doing well and ready for their trellis! I have many more projects percolating in my brain, and some of them are a surprise for somebody, so they’ll have to wait. Are you making anything fun? Learning anything new? It’s great!!! You’re making me itch to put my sewing machine back out! I put it away right before Christmas and have only mildly considered putting it back where it belongs. My sewing / craft room doubles as a guest room which was filled during the holidays. I had many projects for Christmas such as blankets, scarves, and pillows. I have been trying to decide what new projects I might want to accomplish this year. I also get many of my Inspirations from YouTube. 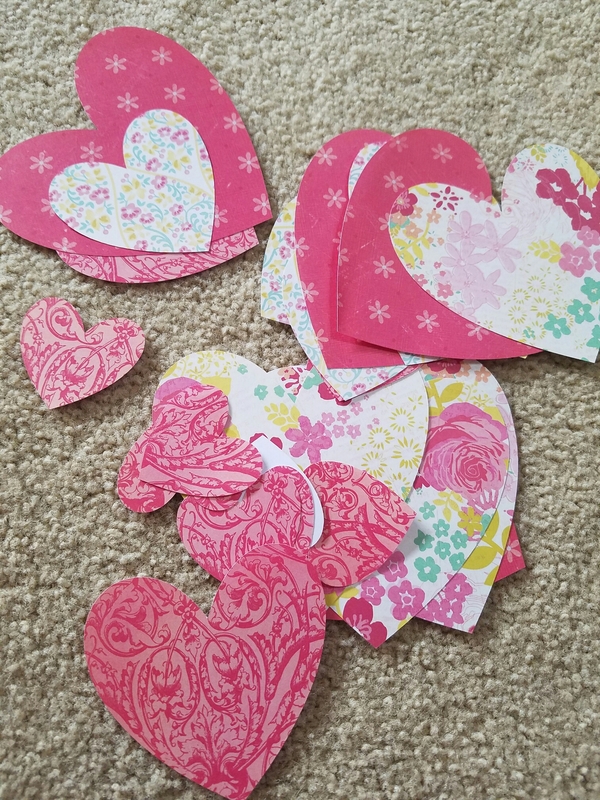 Check out the Crafty Gemini, she has lot of great ideas! I know what you mean. Me too. I’ll look forward to seeing what else you do with your Cricut! I have really been wanting one. Ok, I looked up the Crafty Gemini on Youtube. Wow. I could spend all day watching her stuff. 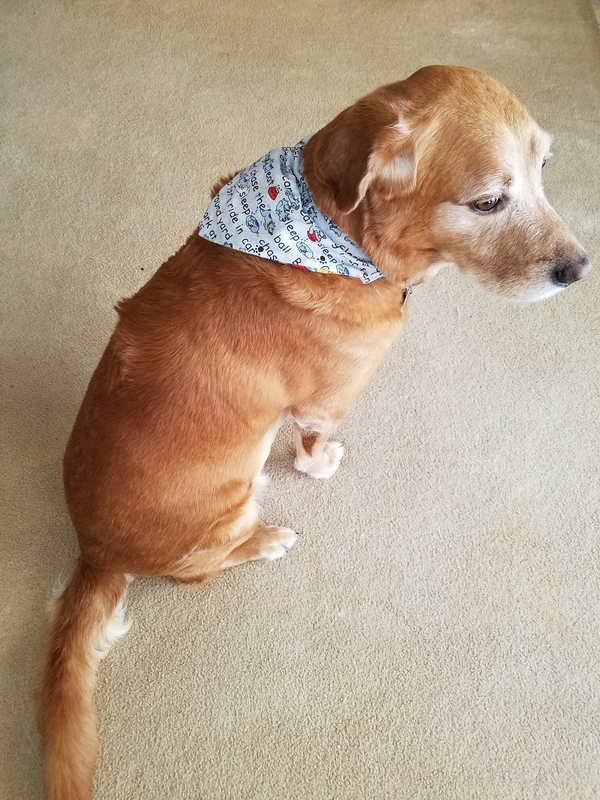 I have been learning so much about sewing, and it’s fun to watch someone do a project start to finish. Thanks so much the recommendation! I’ve been watching Made Everyday with Dana on Youtube. She has some very nice sewing videos, so if you like the Crafty Gemini, you’ll probably like her too. Now is a good time to do grafting. Yesterday I grafted a few pear scions on to a tree belonging to a friend that lives near spencer field. I need to start some cuttings for mulberries and Catawba trees (famous for the bait worms for fishing). I got my while english female dog bred last Friday. A dog was brought by a trucker driver that was taking a load of soy beans to the area. He is from Dixie Georgia and his dog Chopper a real gentleman and my little girl Memphis had a canine romantic interlude. Puppies likely the first week of April. He wants a couple of females for his breeding program. Our gurus, heather wilkens of Hawkinsville, GE and Ray lane of Coldwater, MS wanted this breeding done. They are trying to save the white english farm dogs that used to be so common on farms and people’s yards in this area in the past. http://oweps.weebly.com/the-carr-white-english.html Today I planted a bunch of improved Chinese chestnut varieties sent to me by a kind fellow in southern California. One has to guard the pots by covering them at night or rodents will eat the planted chestnuts. I have also some paw paws planted. I will take them all inside tonight. If I leave them out than it will be near to where my cat hangs out. Lots of flying squirrel about at night here. I leave one of my dogs out to protect the cat. I also did spring clean up and loaded up my truck with garbage and other wastes for a trip to the landfill for disposal on Monday. Sounds like you are making lots of progress! I hope you get lots of mulberries! You are definitely doing a good thing by planting so much fruit.